Watercress Creek Olives and Limes was born of a long farming history. The Pine Mountain Property, owned by Bernard and Lorraine Mahon, began as a dairy farm settled in 1862. John and Mary Mahon came to Australia from Ireland on the Maryborough and settled in Pine Mountain. The dairy farm produced vegetables and eggs aided by the land army in the second world war and sold produce locally and throughout Brisbane. 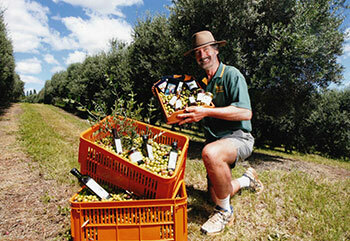 In 1998 as fourth generation farmers in Pine Mountain, Bernard and Lorraine Mahon began farming olives. The property now grows three different varieties of olives with over 1,200 olive trees. In 2006 Bernard and Lorraine diversified and added 400 Tahitian Lime trees. 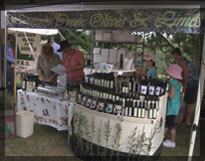 They now produce olive products, lime cordial, chutneys and jams and host an annual Watercress Creek Olive Festival. The 11th annual Watercress Creek Festival will be held on Sunday 7th April 2019.